It's a bi-weekly audio drama (scripted/fictional podcast) in the tradition of classic nature documentaries, but profoundly weirder. The show has been called "Night Vale meets A Prairie Home Companion" and "David Attenborough meets The X Files." The podcast loves cryptids (hidden creatures like Big Foot), but focuses solely on creatures you've never heard of before. Expect new and amazing animals, otherworldly locations, featured fiction and poetry from talented guest contributors, and field reports from fascinating lovers of strange nature. Beyond the podcast, The Cryptonaturalist posts a constant stream of odd, poetic, and sometimes philosophical observations about life, science, and the natural world on Twitter, Facebook, and Instagram. There are also several book projects currently being developed. 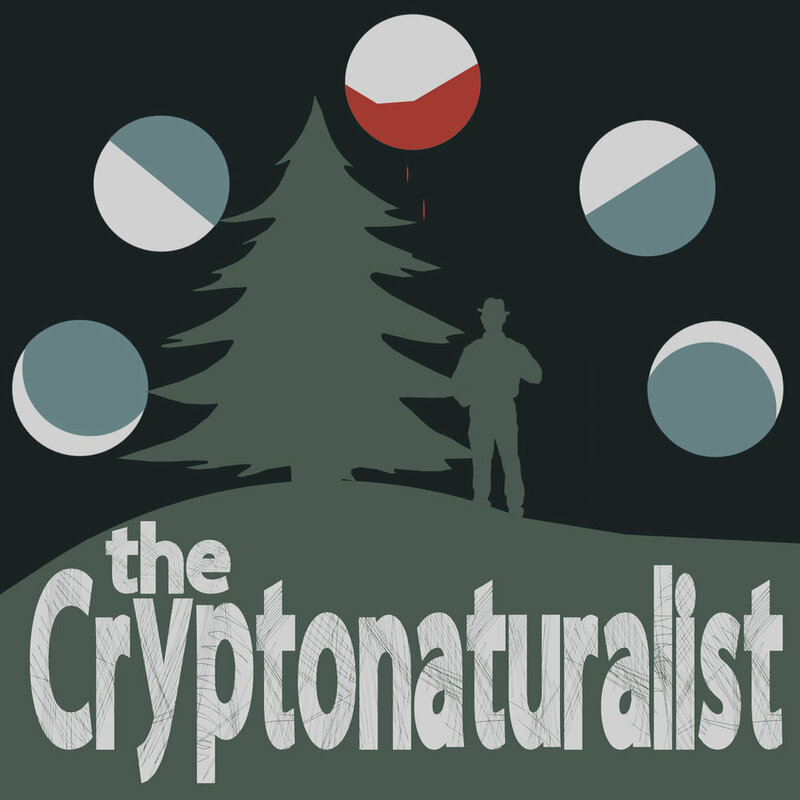 The Cryptonaturalist is written and read by Jarod K. Anderson. To send questions, poems, or short prose pieces for the Hidden Lore segment, email CryptoNaturalistPod@gmail.com. Our credits are read by Leslie J. Anderson. Learn more about Leslie's work at www.lesliejanderson.com. Stay curious. Stay wild. Stay weird. Email up to three poems or one short (600 words or less) prose piece to CryptoNaturalistPod@gmail.com. Your poetry/prose should involve some element of the natural world (or supernatural world related to nature/the wilderness). All submissions should be in the body of your email. Please no attachments, unless you want to include an image for the show notes with your submission. I'm afraid we can't pay you at the moment, but I can thank you on the show, plug your website in the show notes, and spread word to all the cryptids I know that you're not to be eaten. We seek no rights beyond the right to read your work on the show. All episodes will remain available in our feed for the foreseeable future.